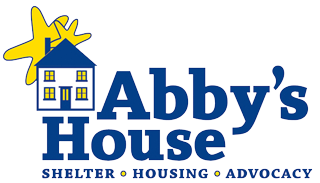 The Abby’s House shelter is a nine bed overnight shelter for women with or without children. Please call 508-756-5486 x230 to find out if there is shelter space available. For more information about our shelter, visit our shelter page. Abby’s House operates 70 single room supportive housing units for women and 7 two-bedroom apartments for women and children in three buildings in Worcester. Please note that at this time, we are not accepting housing applications due to planned renovations. To learn more about our housing program, visit our housing page. Each woman staying in our shelter or living in our housing is assigned her own Advocate, who helps her identify realistic goals and assists her in identifying the tools she needs to achieve them. Our Advocates empower women to access the resources they need to succeed. For information about our Women’s Center and how to obtain a Thrift Shop voucher, visit our advocacy page. The following is a list of service providers that may be able to help you. Abby’s House is providing this information to you as a consideration. We cannot guarantee availability of any services. Unfortunately, services and shelter are overwhelmed by the volume of those in need. If you have a case manager, we encourage you to work with them. Single women should submit a Single Room Occupancy (SRO) application to WCHR at 11 Pleasant Street in Worcester and SMOC at 237 Chandler Street in Worcester. Women with children should complete an application for Emergency Assistance (Family Shelter) at the DTA office. If you do not qualify, you should have a denial letter to be considered for the Abby’s House shelter. Women with children should also call shelters listed at http://mahomeless.org/statewide-family-shelter-community-rooms if they do not qualify through DHCD. If you are a single woman in immediate need of shelter, you can access the shelter at the Greater Worcester Housing Authority at 25 Queen Street in Worcester. Single women can also contact Catholic Charities on 52 Mason Street in Worcester at 508-753-3588 to inquire about their shelter availability.